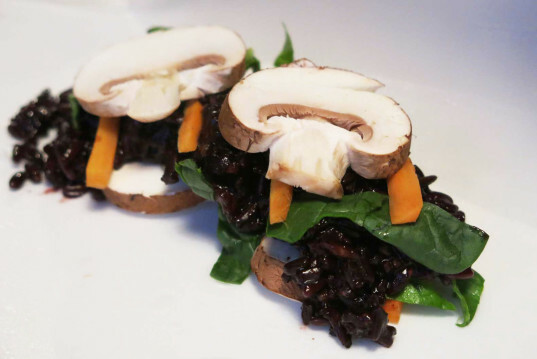 These black rice and chestnut mushroom wraps are delicious, vegan and super healthy. But they are also really fun to make and eat, and your kids will love to give you a hand with the wrapping. 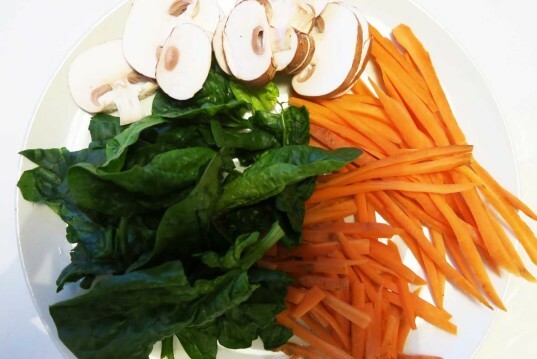 All you need to do is cook the rice and chop the mushrooms, Julienne the carrots and take the ends from the spinach leaves and then wrap it all up making a small parcel ready to be dipped in soy sauce or a sweet and spicy sauce. 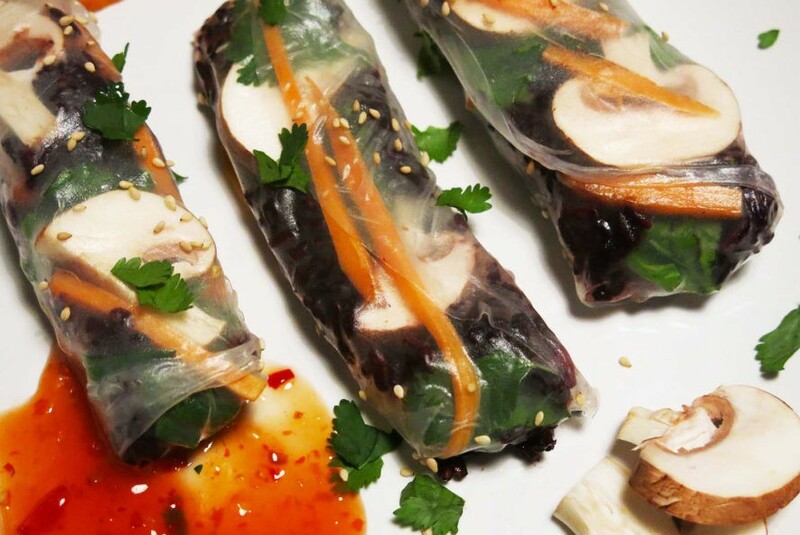 We used vegan, gluten-free rice paper, that can be found at Chinese supermarkets. We love the way you can see through it and spot what's inside! 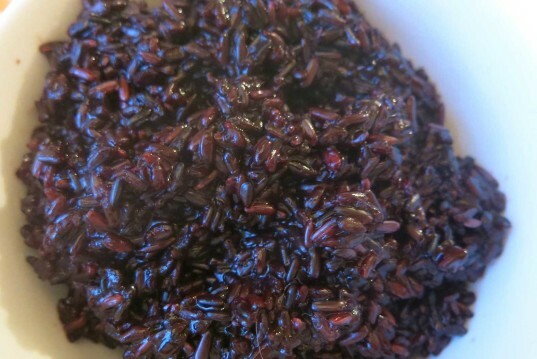 Cook the rice until it’s soft and a bit sticky. Wash and dry the vegetables. Julienne the carrots, slice the mushrooms and cut the spinach leaves if too big (If you’d prefer you can slightly cook the vegetables for a tender result). 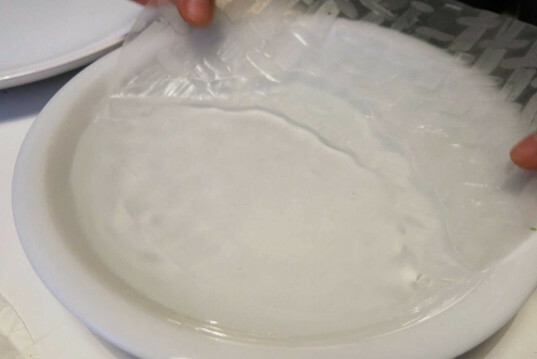 Get a deep plate that is larger than the rice paper and fill it with warm water. 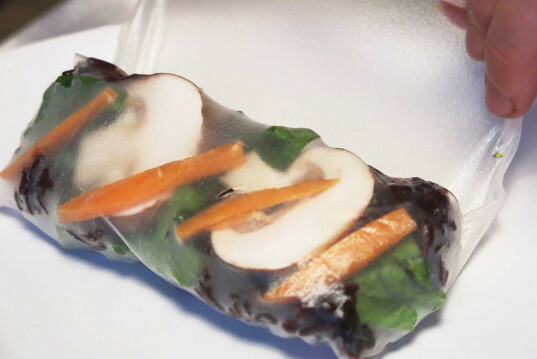 Dip the rice paper and rotate, to make it all wet and soft. 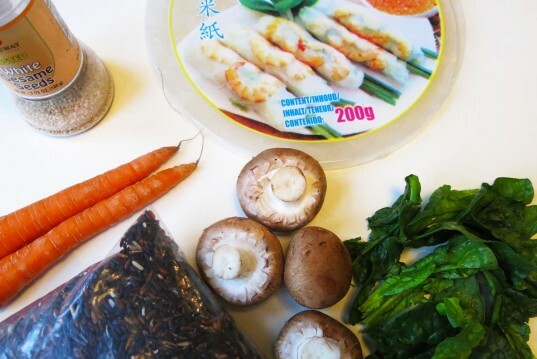 Place the soft rice paper on a plate and layer the vegetables and rice. What you will get on top is what you put first so try to be neat with what you place first. Fold the paper’s bottom first, and then fold the sides and lastly the top. Turn over and the wrap is ready. Enjoy with sprinkled sesame seeds and dip in soy sauce and/or sweet and spicy sauce. Cook the rice until it's soft and a bit sticky. Wash and dry the vegetables. Julienne the carrots, slice the mushrooms and cut the spinach leaves if too big (If you'd prefer you can slightly cook the vegetables for a tender result). Fold the paper's bottom first, and then fold the sides and lastly the top. Turn over and the wrap is ready. Enjoy with sprinkled sesame seeds and dip in soy sauce and/or sweet and spicy sauce.